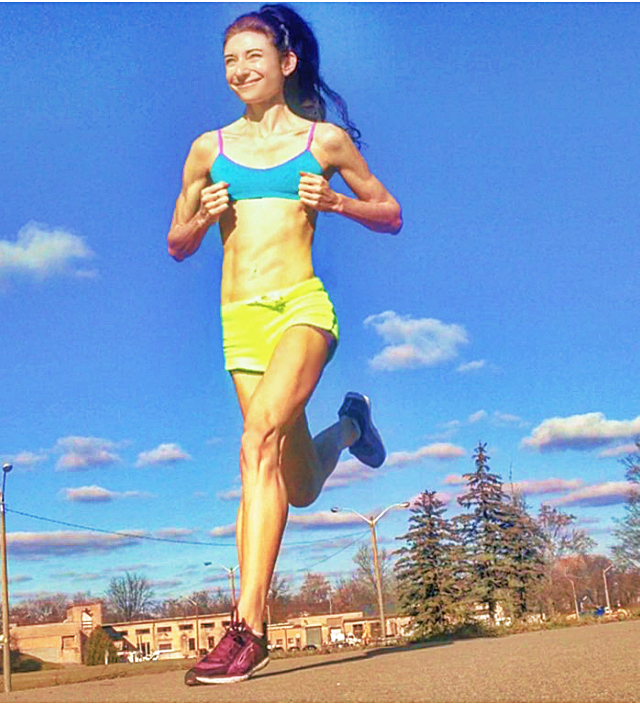 If you’re a forefoot runner who runs primarily on the road and who loves a soft, cushy ride, without clunkiness, the Altra Escalante running shoe is the road running beast you’ll want to ride! However, I must underscore that because of the underfoot padding thickness, the Escalante’s are NOT for the barefoot/pure minimalist crowd, rather the Altra Escalante’s are a perfect fit for forefoot runners whose footwear arsenal typically includes the Nike Free, Saucony Kinvara 7, or Brooks Connect 3 — In my view, the Altra Escalante is a more superior variant of those shoes! There are so many positive elements of the Altra Escalante’s that make them a verifiably, a high performance running shoe conducive for forefoot running. Interestingly, one of the most appealing aspects of the Escalante’s is that the underfoot materials were conceived to provide a natural sensory experience, similar to being barefoot, which is one reason the Escalante’s have received high-marks from not just myself, but from other wear-testers of the shoe, in the minimalist running community. It’s this natural, barefoot-mimicking stimuli in the Escalante’s that helps you be more accurately aware of how you’re landing on your forefoot when you run, which can help narrow your odds of injury AND take your performance to the next level. Not to mention, the zero-drop construction of the Escalante is a structural asset that helps you enforce a more well-positioned, more productive forefoot strike landing pattern during running, which in turn, can be a driver of low-impact running. Ultimately, when it comes to a running shoe that can help you use your forefoot strike more effectively, the Altra’s Escalante’s is really a 360 win! I highly recommend the Altra Escalantes for putting in long miles on the road, for doing tempo and interval runs on the roads as well as road racing distances ranging from 10 km to the marathon. In my view, the Altra Escalante is one the best long distance running shoe for the roads as well as for running on light, soft, flat, easy trails. Even though the outsole of the Escalante is zero-drop, it’s still thick with a 25-mm stack height, causing you to be sensorally disconnected from the ground, which could make running on technical, uneven terrain risky business! Based on my preference, the Altra Escalantes are definitely not made for extreme trails, rather they are sufficient enough for light, soft, more leveled trails. The road is where the Escalante’s totally deliver in being a productive shoe that offers a responsive, comfortable ride from start to finish! The stack height along with the sensory deprivation of the outsole (the only major drawback of the Escalantes, in my opinion), could threaten landing stability and impair agility when running on extreme technical trails. In that regard, I don’t classify the Escalante’s as a competent, heavy-duty trail running shoe and you might not PR or excel at your next extreme trail race in them. However, the Escalante’s are the PERFECT beast for long distance road running, from 10-km to the marathon and even farther! I’d also like to highlight that the Altra Escalante was awarded Editors Choice from Runner’s World Magazine and according to other wear-testers, the Escalante’s work the greatest for long distance road running AND may aid in injury prevention because thanks to the essential features of the shoe which includes a zero-drop low profile, wide toe-box and a barefoot-replicating feel at the underfoot, may help get your forefoot strike and leg swing mechanics more in order, which in turn, may drive safer running. 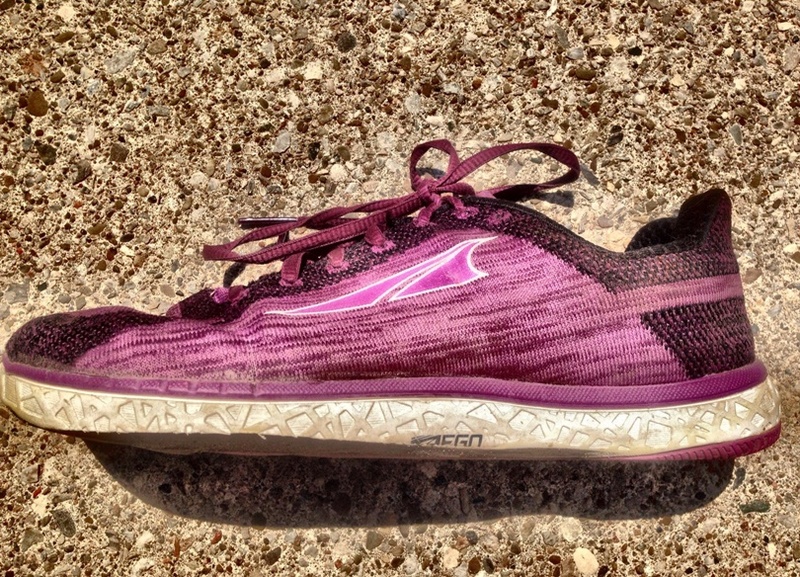 This is how the Altra Escalante can be part of your forefoot running progress! The Escalante’s virtually have no strength-robbing supportive structures, such as arch support, medial posts or heel counters. Therefore, intrinsic muscle and soft tissue engagement activation in the feet aren’t offline in the Escalante’s like they so typically are in most traditional stability running shoes. Another fortune of the Escalante’s is that the shoe is a good primer for someone wanting to ease into minimalist barefoot-inspired footwear or barefoot running because the Escalante’s aren’t physically oppressive on the feet, which is a huge asset in helping prepare your feet more fully! In all, foot engagement is not restricted in the Escalante’s which can be a source of positive change for improved functional strength of the feet and you will also do better in running if your feet are strong and tolerant! If you look at the shape of the Escalante’s, especially the toe-box, you’ll notice that it almost perfectly lines the contours of the foot’s natural anatomy, another avenue in which foot-strength progress can be made in the Escalante’s, since the toes are not squished together, nor overlapping, rather there’s plenty of room in the front for the toes to naturally relax, flex and splay during running, helping to reinforce better dynamic balance control. A lighter, more functional version of the traditional running shoe, the Escalantes have a roomy, flexible toe-box that engages your toes to splay for added balance stability during running. In the final equation, the Escalante’s give a pleasing, comfortable foot-hugging fit where the feet can still function at a high level, helping get your feet in better shape than if they were to remain in inflexible motion control stability running shoes. As I just mentioned, the Escalante’s have a roomy toe-box, affording more spatial ability for the toes spread out and extend naturally which is part of the controls for more secured landing stability during running. As compared to other running shoes in the Escalante’s class, if you enjoy the Nike Free or the Saucony Kinvara 7, you will undoubtly LOVE and much prefer the Escalante’s because the toe-box is more roomy, more form-fitting and hugs to your foot more like a sock than both the Frees and Kinvara 7s. The Escalante’s have a knitted, stretchy, adaptable upper, especially the mesh around the forefoot, which feels exceptionally comfortable and is long-lasting. The upper perfectly conforms to your foot supremely well, providing nothing but a natural, light feel that’s very enjoyable! Credit to the upper’s durability goes to the material density which is pretty thick, especially at the lacing column, but does not compromise the weight of the shoe, nor will it cause your feet to cook in the heat. 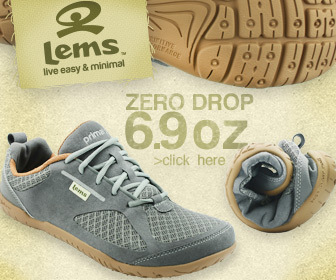 The upper provides plenty of air flow, keeping your feet cool in the summer. The upper also performs well in rainy, hot, humid temperatures in that it doesn’t get bogged down when wet or from the moisture. As for winter running, the upper is winterized in that it keeps my feet, especially my toes, warm even when paired with thin socks, even in extreme cold (-17C and snow!). I’m also impressed that when wet, it doesn’t add any chill to my feet when running in the cold. I’m incredibly pleased with how the upper of the Escalantes handles cold, wet, even muddy conditions which is why the Escalates are my go-to winter running shoe! Couldn’t be more fantastic! Not to mention, the fabric materials dries quickly. Ultimately, the upper of the Escalante’s really does a nice job at being versatile for running in all types of weather conditions! You’ll feel nothing but plush comfort, even if you wear the Escalante’s without socks as the inside lining feels seamless, nothing rubs abrasively against your skin. Myself, along with many wear-testers have run plenty of miles in the Escalante’s without socks, even in the rain, and did not get one blister. I’m extraordinarily happy about that! Again, you can confidently and comfortably go sockless in the Escalante’s without worry of blistering. The shoes also come with a removable insole, which I removed as soon as I got the shoe because to me, the outsole provides enough cushioning (more than my liking). I felt that the insole was too excessive, too foamy, too squishy for me. My forefoot strike control and landing stability just feels more stable, more secure without the insole, that’s just my preference, but the extra cushion option is nice to have. Essentially, the underfoot of the Escalante’s gives a fast-feel and may make it possible for you to improve your running mechanics at every level. How so? 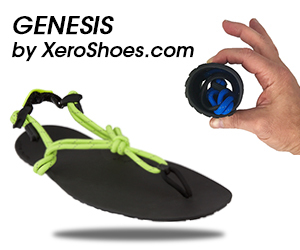 My assessment of the underfoot-feel as well as in gathering wear-tester testimonials, describe the underfoot materials as actually feeling like you are walking and running barefoot on grass, thus giving a natural sensory experience, and may help prompt you to run with a barefoot running style (forefoot strike running). The materialistic elements of the underfoot inside the Escalante’s is formulated to replicate the feel of being barefoot which may help you leverage a more effective forefoot strike that’s more easily sustained during running. With that in mind, if you don’t want to use barefoot running or barefoot-mimicking running shoes, such as the Vibram Five Fingers, to improve your running form, the dose of barefoot-sensory mimicking sensations you get from the Escalante’s may make it possible in helping iron out mechanical wrinkles and may help bring together positive changes you want to see in your biomechanics during running. The Altra Ego midsole is slightly stiff, yet bouncy and helps attenuate shock, but more importantly, it allows your foot to flex where it needs to. The midsole also contains grid-like flex grooves optimized for better energy return at faster running speeds and it also helps encourage a higher cadence and a forefoot strike landing pattern which collectively, can be the driver behind low impact running and economical sufficiency. Overall, the midsole is nicely cushioned, but not overdone and provides good energy rebound which can have an out-sized influence on performance! The Escalante’s rubber FootPod outsole is zero-dropped with a 25-mm stack height, but you still feel lower to the ground in the Escalante’s than in most traditional running shoes. The outsole materials of the Escalante helps you maintain good dexterity, drives a faster toe-off and is impressively responsive, helping bolster a more smooth, faster transition throughout the cycles of running gait, which collectively is handy for executing a faster turnover. Even though the stack height of the Altra Escalante is a bit high for my liking, the outsole is still incredibly road-worthy, responsive and stable for those who enjoy adequate cushion and protection. Another downside of the Escalante’s is the shoe’s outsole is smooth and lacks aggressive tread and outsole lugs. For this reason, especially because of the stack height, the Escalante’s may not be the most sufficient trail running companion, especially for extreme trails. The outsole thickness may prevent you from being fully agile and may create a destabilized landing surface when you need to change directions very quickly when running on rugged, uneven terrain. This is why the Escalante’s work greatest for road running. But for running in the winter, as I mentioned earlier, the Escalante’s are my go-to winter running shoe because they can be made totally winterized with DueNorth Everyday wearable spikes. 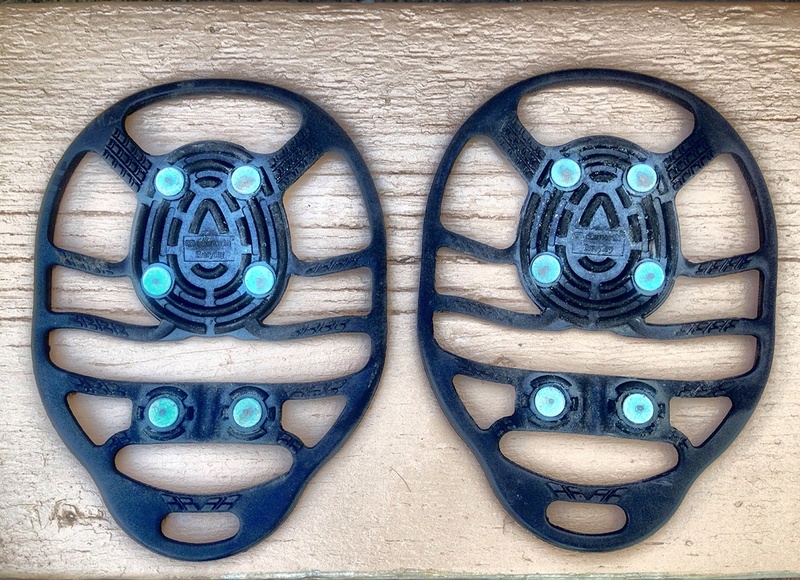 Slap these spikes on and the Escalante’s transform into the ultimate blizzard running companion that can really help you dominate any snow-covered road! Unfortunately, the Altra Escalante offers little tread for running in icy, snowy conditions, but the shoes can made completely winterized with DueNorth ice spikes which perform beyond admirably in blizzard conditions. Even though the Escalante’s outsole is smooth and tractionless, slap a pair of DueNorth wearable spikes on and you’ll get reliable traction without compromising comfort or weight of the shoe! Overall, the Escalante’s outsole is more structurally conducive for the road and is durable enough to handle high mileage on the roads. It offers excellent protection on the roads in that any rocks or debris you run over you barely feel. I love that the Escalante’s outsole feels plush and bouncy and gives impressive motion return, making your stride feel pretty spring-loaded. As for the durability-life of the outsole, I’ve had my Escalante’s for more than a year. 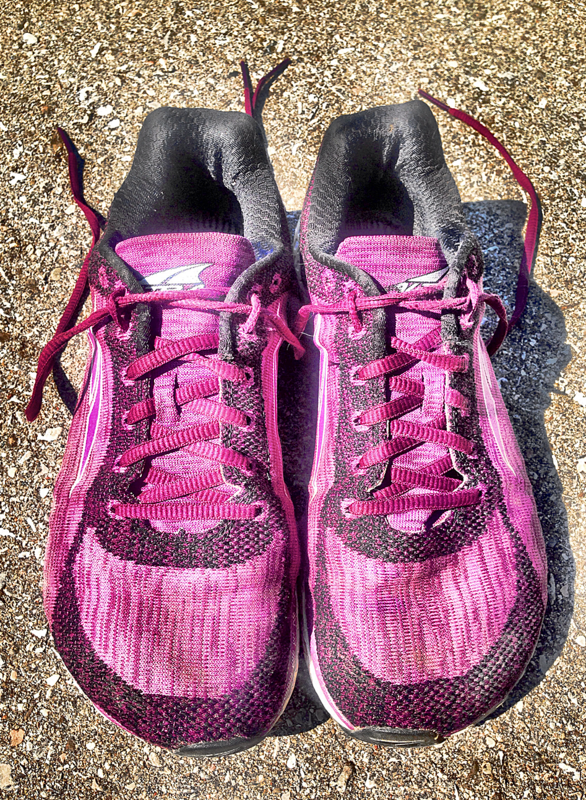 I run 18-21 km a day in them and the outsole is just starting to show some signs of wear. The outsole has definitely withstood anything the Canadian winters has thrown at it, which is why I rank the Escalante’s for really delivering in the durability department! 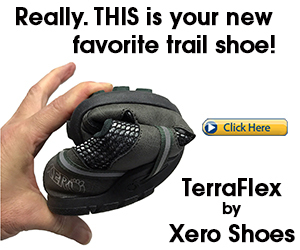 If you don’t want to use barefoot running or barefoot-mimicking running shoes, such as the Vibram Five Fingers, as a means to correct mechanical inadequacies, the barefoot-sensory mimicking sensations you get from the underfoot feel in the Escalante’s can definitely help reboot your stride because the overall infrastructure of the Escalante’s was conceived to help you navigate away from a hard-hitting, heavy heel strike landing, while encouraging a more organized, lightened forefoot strike which may not only help advance your running performance, but may improve your injury prevention efforts. Other features I love about the Escalante is the wide, flexible toe-box and lack of external support which keeps muscle activation in the foot engaged, aiding in sustained foot functional strength and can be a positive source for improved balance control. My only gripe with the Escalante is the complete lack of ground-feel. However, I think the general premise behind the Escalante’s construction is to, as close as possible, mimic the barefoot condition, and I’m happy to report that they do deliver on that to some extent, especially in the shoes flexibility. The Escalante’s won’t strip away foot strength, like stability running shoes so often do which is why the Escalante’s are really starting to emerge in popularity in the minimalist running community. Above all, the Altra Escalante’s work perfectly for forefoot runners who enjoy a running shoe with soft, foamy underfoot padding, who prefers not to be too close to the ground and who aren’t interested in barefoot-mimicking, pure minimalist running shoes. 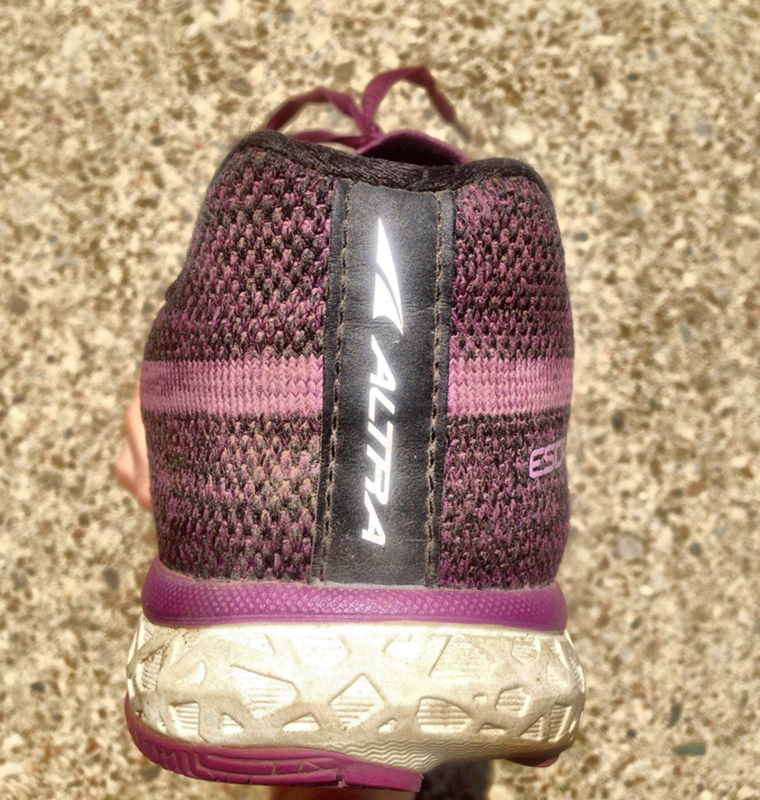 In my view, the Escalante’s are a more minimalistic variant of the traditional running shoe whereby the Escalante’s framework helps you become more adept to avoid heel strike during running AND the Escalante’s wont do structural or functional harm to the foot, and that’s what really matters, at large, when it comes to injury prevention. 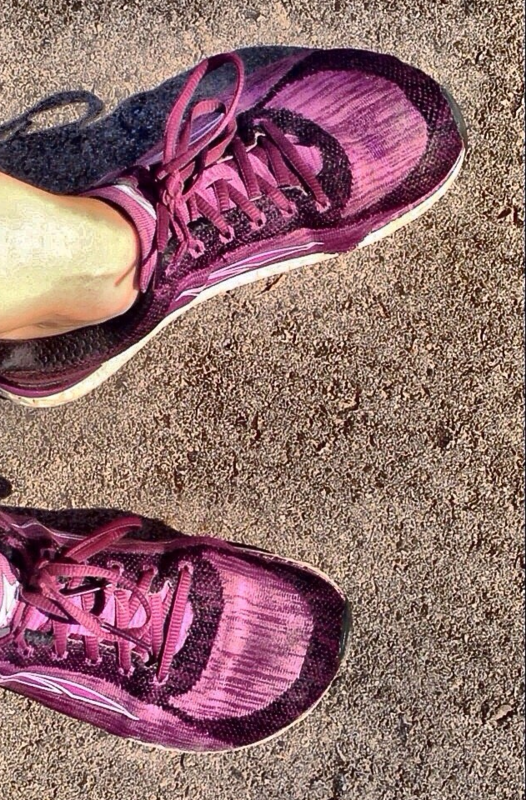 Everything benefits when your feet are strong, and when you run, your landing stability will be more safe and secure. Ultimately, there are just so many pleasant prospects of the Escalante’s that have done great things for me and I’m confident they will do great things for you too!